The National Organization on Disability partners with a variety of organizations to develop talent pipelines, identify best practices and deliver comprehensive services to employers seeking to build more inclusive workplaces. A valued member of NOD’s Associate Network, C5, a disability-woman owned firm, brings expertise in global disability, inclusion and culture change strategy. NOD and C5 have collaborated to provide corporations with educational tools to support an inclusive culture for veterans with disabilities. Collegiate In-Site, a valued member of NOD’s Associate Network, assists higher education institutions in strategic, data-driven decision-making around recruitment, retention, operations and outcomes. ODEP’s mission is to develop and influence policies and practices that increase the number and quality of employment opportunities for people with disabilities. Previously, NOD led the New Jersey area Add Us In program and continues to collaborate with ODEP as an advisor and partner. A valued member of NOD’s Associate Network, Deque provides web accessibility solutions to help companies meet Section 508 compliance guidelines. A consortium of talent acquisition and OFCCP compliance professionals, DirectEmployers cultivates labor market efficiencies and online recruitment systems for employers. Since 2014, DiversityInc, the nation’s leading diversity publication, has considered completion of the Disability Employment Tracker™ when determining their Top 50 Companies for Diversity. Getting Hired, an Allegis Group Company, is a recruitment solution dedicated to helping inclusive employers and advocacy organizations hire professional individuals and veterans with disabilities. They also provide a fully-accessible career portal and educational resources for talent with disabilities. Since 1978, Job Path has helped people with disabilities find jobs and excel in the workforce. Together, NOD and Jobpath have presented on issues relating to disability and the workforce, including a webinar for professionals balancing caregiving and a career. NACE connects thousands of college career services professionals with thousands of recruiting professionals nationwide. NOD and NACE have joined together to produce several learning forums for companies seeking to recruit college-educated employees with disabilities. The Disability Employment Tracker™ is a partnership of the National Organization on Disability (NOD), the National Business and Disability Council (NBDC) at The Viscardi Center and OrgVitality, a leading provider of organizational assessments. The Tracker is the first tool of its kind to assess disability and veteran inclusion employment policies. research and driving action through effective data utilization. 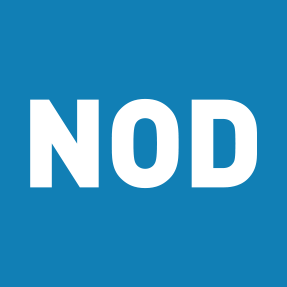 NOD partners with OrgVitality to offer the Disability Employment Tracker™ survey, taking advantage of their robust normative database, leading tools and technology, and profound understanding of how to develop and execute successful survey research programs. PEAT promotes the employment, retention, and career advancement of people with disabilities through the development, adoption, and promotion of accessible technology, and provides guidance and expertise for NOD’s clients and Corporate Leadership Council members. PsychArmor Institute is a nonprofit that provides a suite of educational and support tools to Americans who work with, live with, or care for service members, veterans, and their families. NOD is partnering with PsychArmor Institute to create and disseminate learning modules focused on successfully hiring and retaining veterans in the workforce. RESNA, the Rehabilitation Engineering and Assistive Technology Society of North America, is the premier professional organization dedicated to promoting the health and well-being of people with disabilities through increasing access to technology solutions. RESNA is a member of NOD’s Associate Network and provides guidance and expertise for NOD’s clients and Corporate Leadership Council members. Rochester Institute of Technology (RIT) has dedicated itself to helping students with disabilities access jobs upon graduation, better ensuring their long-term economic security. NOD and RIT have partnered to document leading practices in bridging the employment gap for students with disabilities.